Weddings are the best! Over the past 8 months, our crew has been to 2 wonderful weddings. There is just something so wonderful in having family together to celebrate love. And I've especially enjoyed the fact that my kids have been able to go and be a part of the magic. That said, nothing is ever "easy" when it comes to getting a family of 7 ready for a wedding! The first wedding required a weekend trip with a dad (me! ), 4 kids, and a prego wife at home. Nothing spells fun like airline travel with 4 kiddos! Thankfully, I had some help from a wonderful sister-in-law, and her boyfriend (the newliest-wedded couple!). The trip was a whirlwind with late nights, treats, food, treats, dancing, treats, swimming, and did I mention treats? The kids were so strung out on lack of sleep, sugar, and jet-lag that it took a good week just to get them back into the groove at home. And then all I heard was, "Do we leave for Auntie's wedding today?" 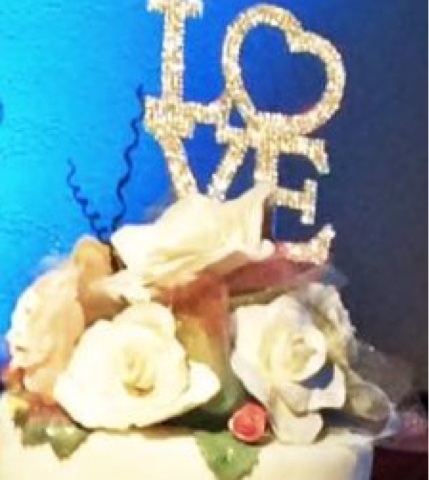 And, "I liked the cake at Auntie's wedding!" Last weekend was wedding number 2! And unlike the first wedding, 6 of the 7 of us were IN the wedding. Ring bearers, flower girls, and a bride's maid! I was support cast in getting everyone where they needed to be - dressed and ready to go! 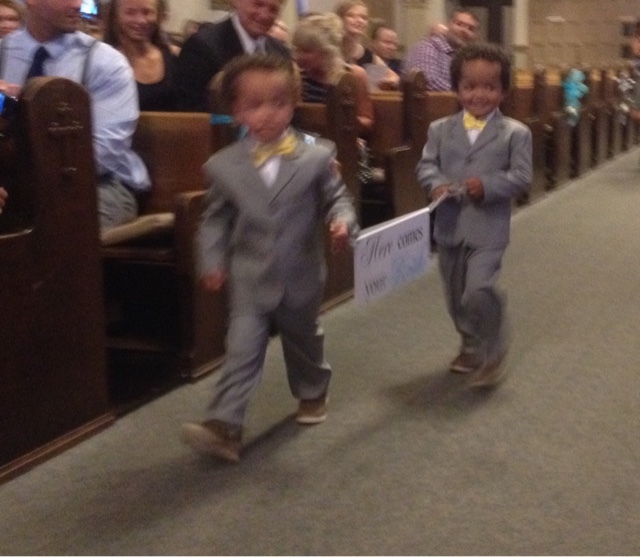 Nothing spells wedding fun like organizing 4 year old twins to walk side-by-side down the aisle holding a sign for everyone to see! Or how about 4 of the 5 kids needing to use the bathroom during the ceremony! One of which was a near baby blow-out! But through it all, the kids got to spend time with family. We spent nearly 2 weeks living in a house with my wife's parents, her sisters, their husbands, and all of the cousins. We swam, cooked, watched movies, played outside, and did family things. We created memories that will be everlasting for the kids... And of course they loved the wedding cake! Much like the the first wedding, the transition back into "normal" life was tough. Tough is actually putting it nicely! And it wasn't just the kids! My wife and I still are spent from the festivities! It didn't help transitioning right back into work teaching summer school. But now, after being home for just about a week, things are getting back to normal. So, what I've learned through this all is that the memories are priceless.. that is, if you can handle the transition back to the normal. For us it takes about a week. I wish that I had planned to not work the week after the wedding. Or it would have been great for the kids to have had a camp or more playdates set for when we returned, so we could have helped to smooth out the transition period. That said, no regrets! We all had so much fun at both weddings, and are so happy to have been there for our kids' beautiful Aunties!! Tell me about a wedding experience you had with your kids in the comments below. How was the transition back to normal life? What advice/tips would you give?